Testimonial by Fitdigits User Anthony D.
When I was a child, I was diagnosed with Bicuspid Aortic Valve, which means that my aortic valve has only two leaflets that open and close. Normal aortic valves have three leaflets, and because of my deformity, blood leaks back into the heart during each pump cycle. As a kid, this was no big deal. My doctors told me that I wouldn’t need heart surgery until I was close to 60 years old, and by the time that happens, robots with lasers will do the surgery and I’ll be out running marathons the next day! I lived my life without fear of my heart disease. I became very active. I got really into rock climbing. I cycle four times a week. I went backpacking and on other adventures, often very physically demanding on the body. A day without some sort of exercise is rare in my life. Fast forward to 2011. I’m 28 years old and after a career change, just landed my first teaching job, 8th grade science. With my new health insurance plan, I decided to establish a new primary physician and cardiologist. My cardiologist did the routine checks, most importantly the echocardiogram (a sonogram for the heart). She handed me a piece of paper with a flow chart on it. She circled a spot on the confusing lines and said that someday, soon, I would need heart surgery. “Like ten to twenty years?” I asked. “One to two,” she said, “five at most.” I was shocked. I didn’t believe her. Fast forward to present day. After two years of bi-annual visits to the echocardiogram technician, on a whim, my cardiologist scheduled a CT scan of my chest. This revealed an Ascending Aortic Aneurysm, a condition common to people with valve problems, where the aorta artery balloons as it exits the heart. The risk: rupture and sudden death. I’m thirty years old and I need open heart surgery. 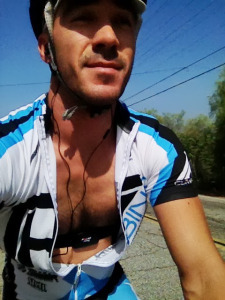 My surgeon told me that in the meantime, to keep my heart rate under 140/150 BPM. I imagined that with the way I tend to push myself, this would be a difficult task. 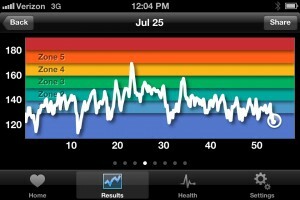 I immediately purchased a heart rate monitor that connects to my IPhone via Bluetooth. I downloaded over 5 apps, including Fitdigits. I even paid for trial versions on 3 of them. After 2 days, I knew Fitdigits was the right one for me. Right off the bat, I liked Fitdigits’s look and appearance. Crisp and simple, with bold colors. 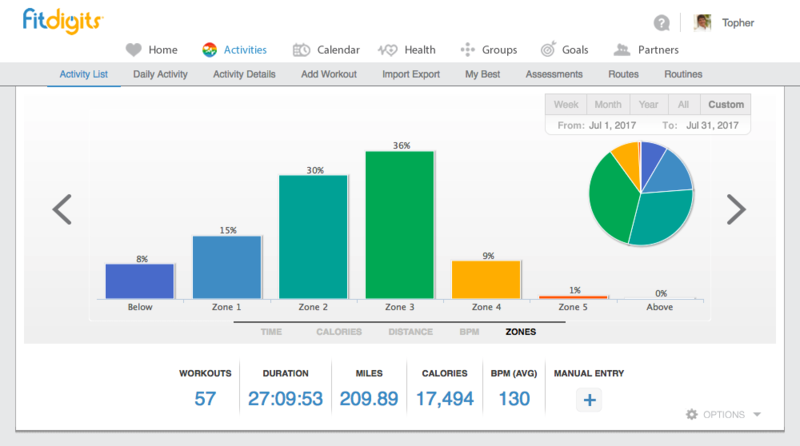 Most importantly, and the reason I chose Fitdigits over the others, is the ability to customize preferences to you. 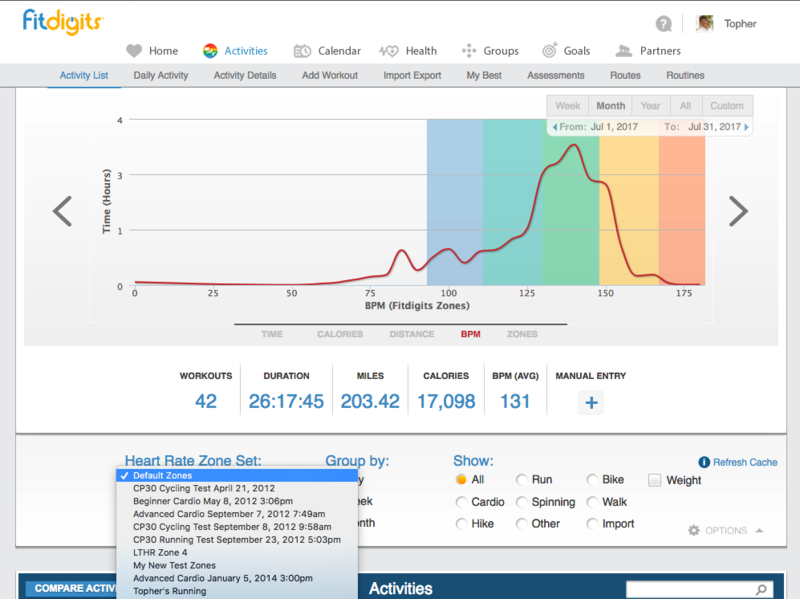 Because I need to keep my heart rate low, I could create my own heart rate zones, and set the voice feedback to notify me when I enter those zones. 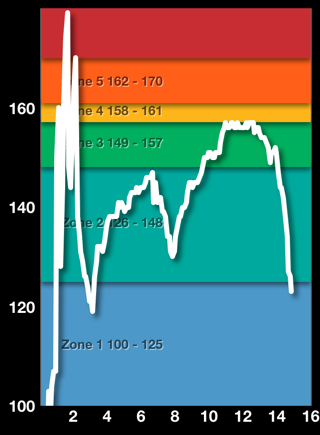 The Fitdigits voice tells me when I start to approach 140 BPM, and when I go over my prescribed max, a get a warning. Using these features, I have been able to continue cycling; even going for nice long rides over thirty miles. I have been able to continue rock climbing, though not necessarily as hard as before, I am so thankful that I don’t have to give it up. 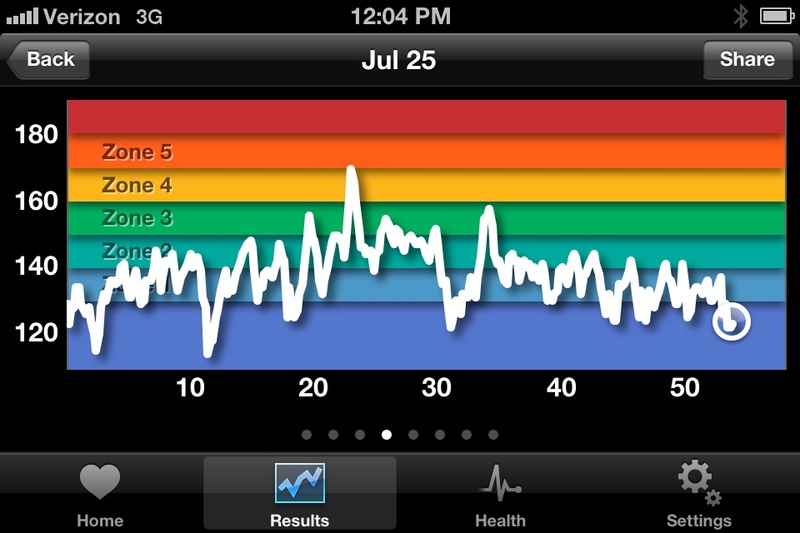 For cycling, I love how Fitdigits displays a line graph that charts heart rate, speed, and elevation. I can see what situations make my heart rate spike, so that I can plan my attack better to avoid those spikes. Another function that I appreciate is a pie graph that displays the time in each zone. I know that I’m doing what I’m supposed to when my results show less than 2% spent in the zones over 150 BPM. Not only has Fitdigits allowing me to continue exercise, but also after my surgery in November, and months of recovery, Fitdigits will teach me how to be a better athlete. 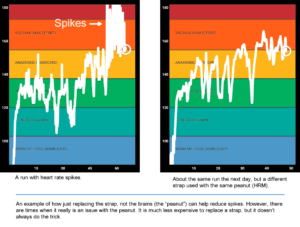 Having control over one’s heart rate is important for any athlete, and in my case it is paramount. 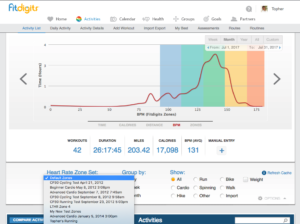 So far, Fitdigits has taught me how to be more a more efficient athlete. I plan to be a better climber and cyclist this time next year, less than a year after heart surgery. Fitdigits has supplied me with a service that is invaluable. 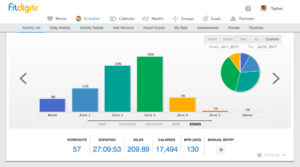 I would surely recommend Fitdigits to any athlete of any level, in a heartbeat (pun intended). Fitdigits has allowed me to stay strong, which will inevitably be beneficial to the recovery process ahead.